After having knitted a pair of boot cuffs as a Christmas present, it was requested that I also knit a pair of arm warmers, to match. I didn’t actually have much of the same wool left, so I knitted little glove things instead. Do the opposite on the next row, i.e. 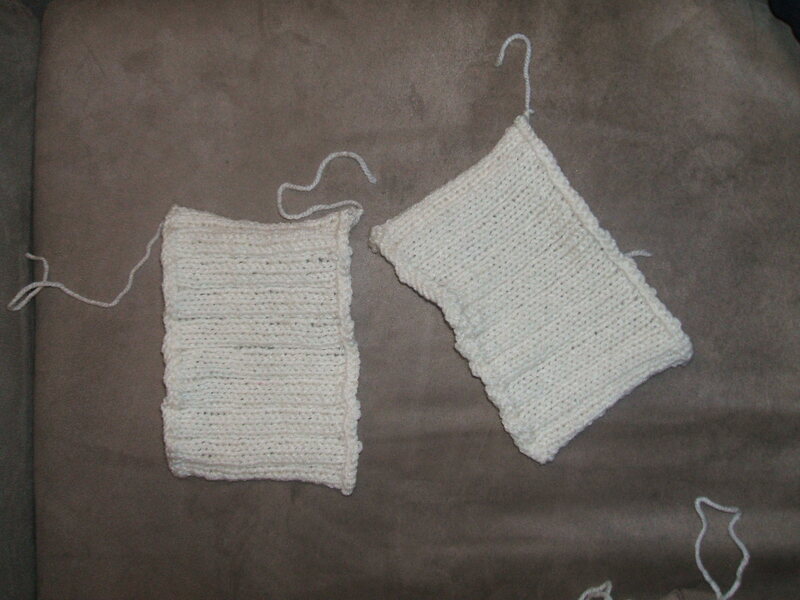 knit 1, purl 3. Keep this up until it’s the desired length, then cast off. 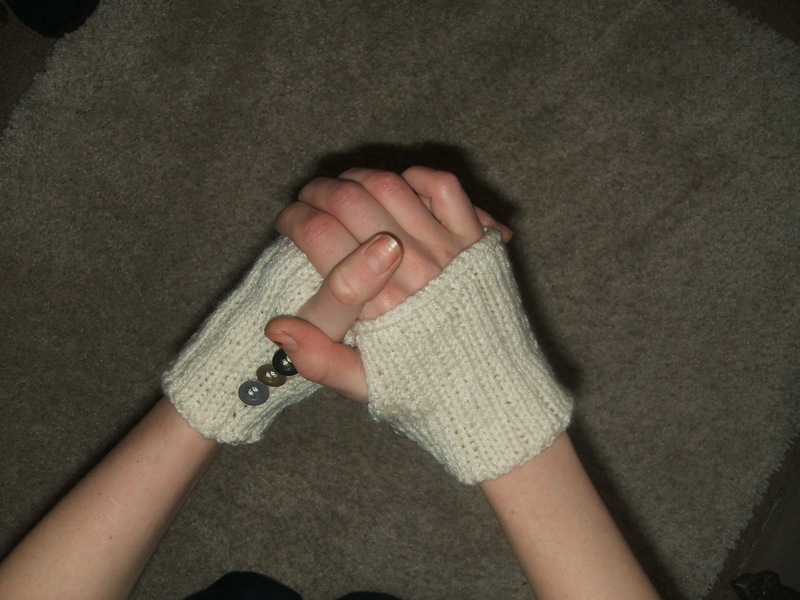 This entry was posted in Craft, Knitting and tagged Arm warmers, Gloves, Knitting. Bookmark the permalink. Post a comment or leave a trackback: Trackback URL.